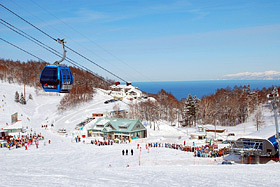 During the Sapporo Olympic Games held in 1972, the Highland Zone served as a venue for ski / alpine competitions in the male / female giant slalom, the fourth technical category of male and female rotation.The Olympia zone, where the platform bearing the Olympic flame was installed, was used as a venue for the Bobsleigh, Luge, and five sleddings. 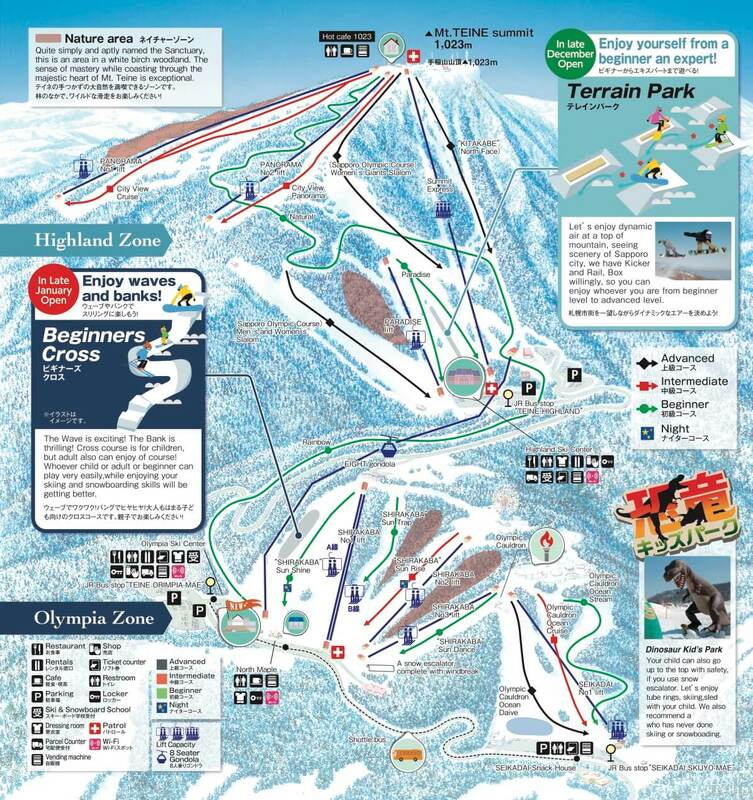 Dynamic, challenging, and exhilarating, the Highland Zone will enchant you with its spectacular views from the summit. 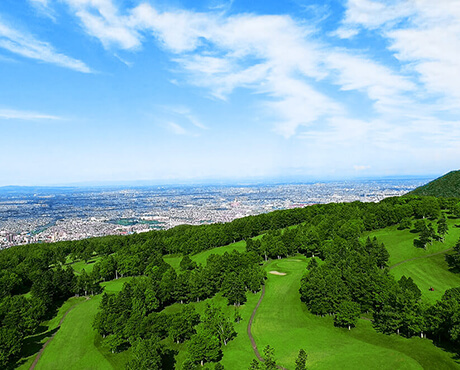 Looking down on the city of Sapporo with its 1,950,000 people and Ishikari Bay, the course is so long that it seems you could ride it all the way into the city. There are many fun things to do besides skiing. Smiles and laughter abound in the Olympia Zone. 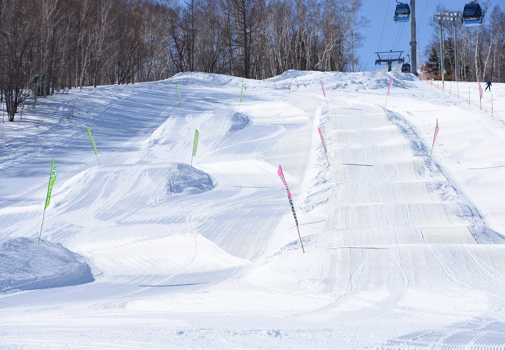 Let's enjoy dynamic air at a top of mountain, seeing scenery of Sapporo city, we have Kicker and Rail, Box willingly, so you can enjoy whoever you are from beginner level to advanced level. 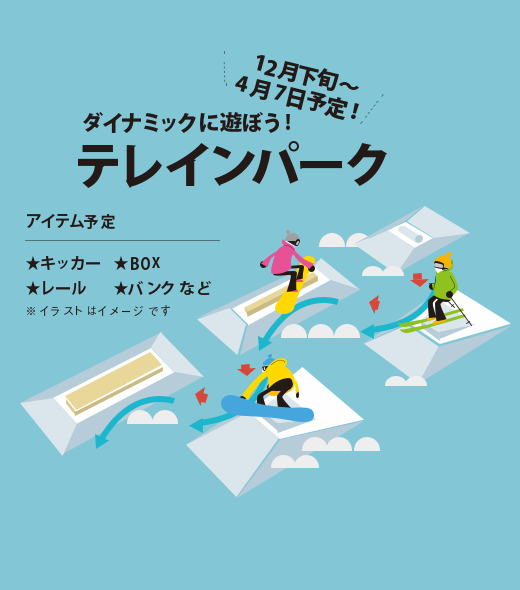 You can enjoy kickers, rails, BOX, etc. from beginners to experts. 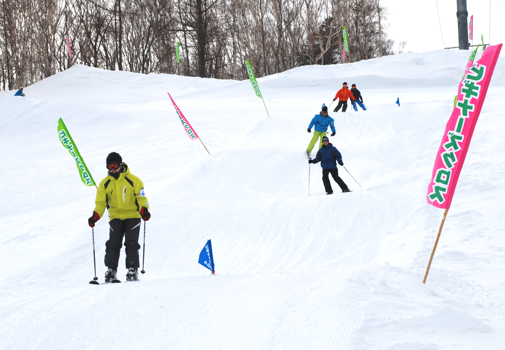 Various items are set up in the park, so let's enjoy riding with items that matched your level! 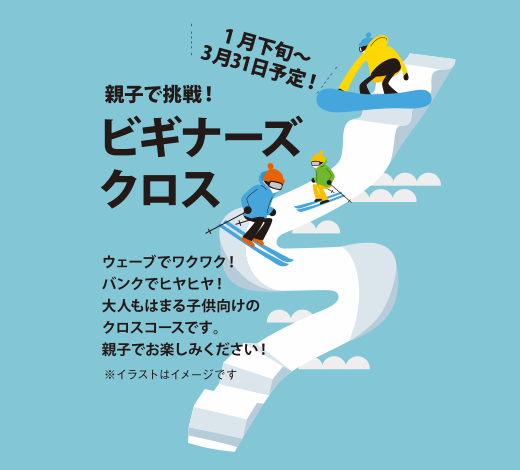 Your child can also go up to the top with safety, if you use snow escalater. 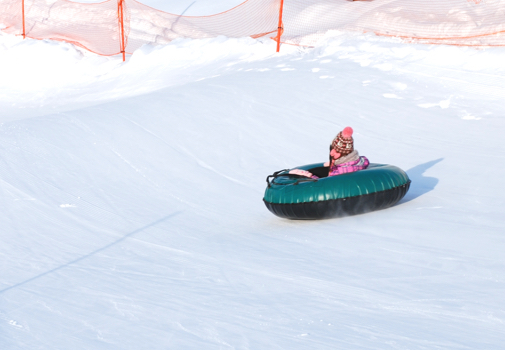 Let's enjoy tube rings, skiing, sled with your child. 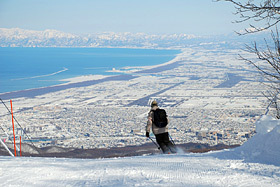 We also recommend a person who never been do ski todo ski or snowboard. We will deliver a gentle slope divided into three areas dedicated. 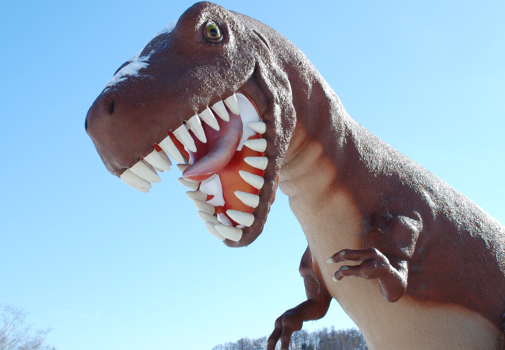 *One-day tickets, time tickets, membership tickets can be used for no charge required. It is a cross course for children. 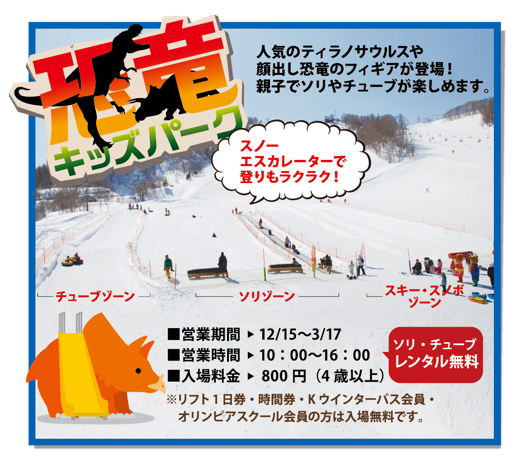 Please enjoy with parent and child! 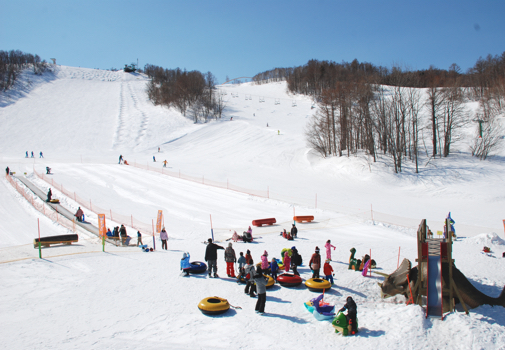 Skiing and snowboarding will progress naturally while sliding happily so it is possible for a beginner to glide freely from children to adults! Enjoy thrilling and safely!